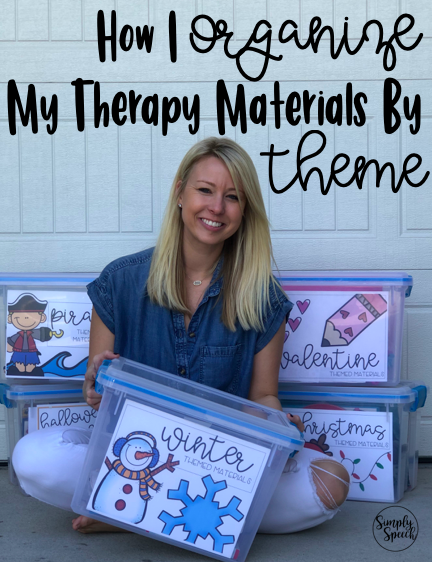 It's no secret that I love using themes in therapy. They keep me organized, they give me motivation, and my students seem to be more engaged. 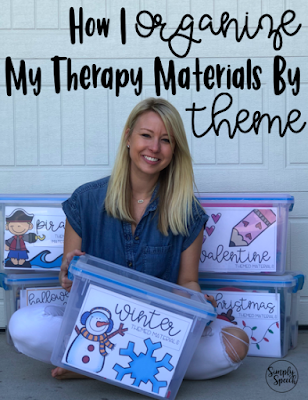 Over the years I have collected a TON of therapy materials that go along with my themes but organizing them has always been a chore. 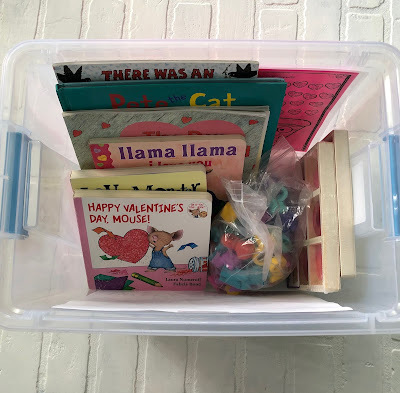 I have tried so many ways to organize my materials that I could write an entire blog post just on that. I've used everything from large ziplock baggies to an entire filing cabinet but nothing has really seemed to stick. The baggies were good for books, but not so much for games and activities. So the search continued. One day while browsing the isles of Target (I know, shocker!) I came across these clear storage boxes and knew they would be perfect to store all my themed materials. The boxes were large enough to hold books, games, and activities but not too large to throw into the back of my car. These bins have been a saving grace for me. As I switch to a new theme, I switch the bin out in my car. As a traveling SLP, I don't have access to all of my materials all the time. So having this bin in my car makes it so much easier to have what I need accessible. It also helps keep me focused on what materials to use. Since I am using a theme, I am not constantly racking my brain for what activity to do each week or with each student. For most of my students, the story and activity will be the same, I will just adjust it based on their age level and goals. All of the boxes are labeled by theme for easy grab and go. I used to store them in my garage but recently moved them to our therapy clinic so I can share the love with my co-workers. The labels are FREE in my TpT store here! The holiday season is always our time for new family photos. Seeing how much the kids grow each year is so amazing to me. I am always so excited when we get our photos back, but then struggle with that to do with them after. They're usually posted on Facebook, I might frame one or two, but I wanted something extra for some of these extra special shots. So I went back to CanvasPeople this year to order a few more prints of some of my favorite shots. Picking favorites was the hardest part. 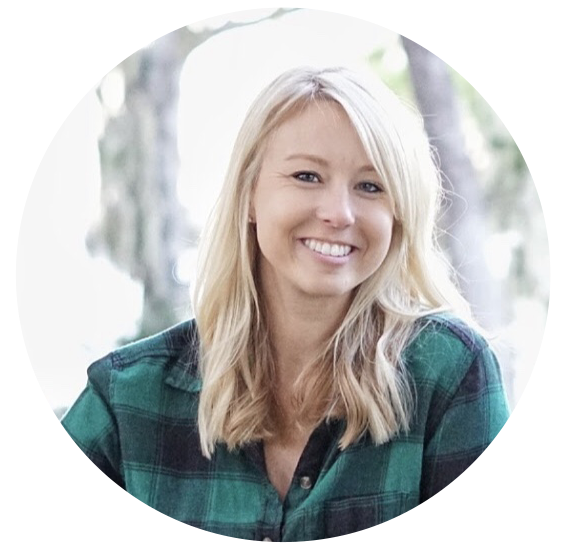 If you're local to the Tampa Bay area, check out Erika Johnson Photography. She is one of my closest friends and such a fantastic photographer. She's so creative and has such a great eye for those memorable, candid moments. Since the kids recently moved into a room together, I let them each pick out their favorite shot from the huge batch of photos we received. They each picked out pictures that describe their personalities perfectly. We were in the process of getting them bunkbeds and trying to renovate/personalize their space when these canvases arrived. I have Kenzie's displayed over her dresser and Kameron's over his. I chose black and white prints, because I have such a weakness for black and white photos. It's such a timeless look. The other canvas I chose as one of Kevin and me for our room. Before this arrived, I had pictures displayed that were about eight year old. It was time for a change and something new. This canvas was perfect and there was a perfect spot just the right size for this print! I can't say enough great things about CanvasPeople. Their customer service is amazing, their shipping is fast, and ordering online is so easy. They also use environmentally friendly ink and pinewood from renewable forests. I will absolutely continue to use them in the future for more prints and for gifts! 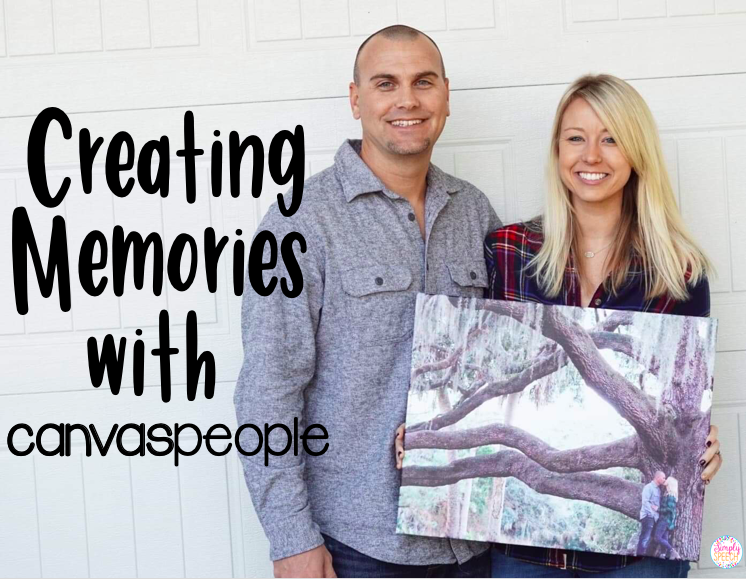 Want a FREE canvas to give them a shot for yourself? Use the code: SPEECH for a FREE 11x14 photo canvas from CanvasPeople, just pay shipping! Once you receive yours, tag me in the photos. I would love to see how you personalize your space! 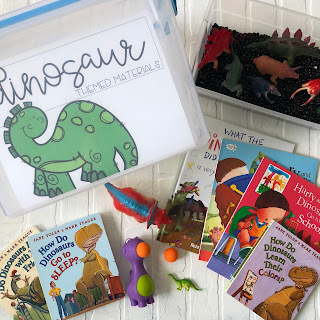 Using a Dinosaur Theme in Therapy! I absolutely love using themes in therapy. I run my therapy sessions by themes. They help keep me organized and focused on therapy activities. I also feel like themes give my students extra exposure to similar vocabulary. As a traveling SLP, themes help me limit the amount of materials I carry around. I use the same theme and books with all of my kids, I just adults the related activities I use based on their goals. I just wrapped up my dinosaur theme and I think this may have been my favorite theme so far! Here is what I did! How Do Dinosaurs Play with Friends? Another thing I love to include while using themes is a sensory bin. With this sensory bin I used black beans and plastic dinosaurs. 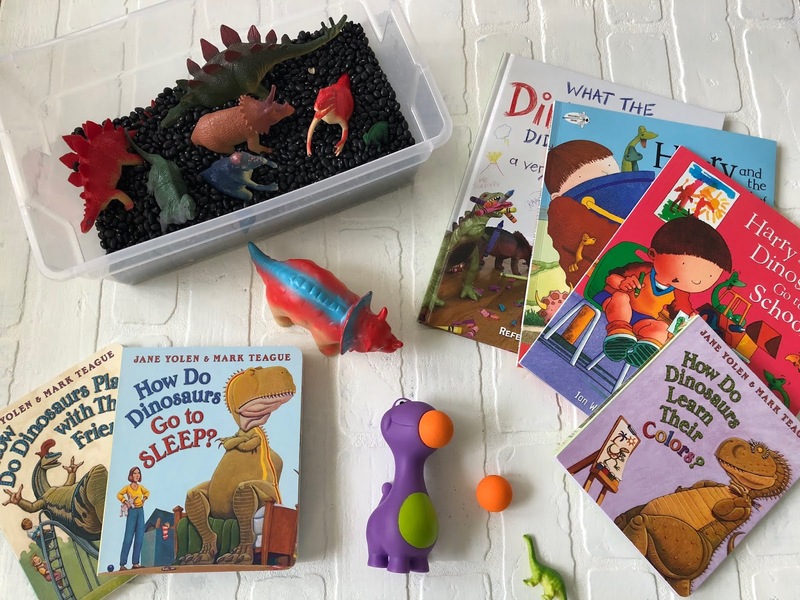 Thankfully I found a lots of dinosaurs in my kids' playroom, but Amazon has a ton available! This is a fun way to let the kids pretend play- which is a great language opportunity. We also discussed the differences in the dinosaurs, worked on prepositions, and sorted them by color and size. A few years ago I happened to find a dinosaur popper at Walgreens. My kids love shooting the ball at target words (articulation, vocabulary, sight words, etc). I get a ton of practice out of them when the popper comes out! We also lined the cards up to make a path, for the dinosaur. Then we had the dinosaurs go on a "Dino Walk." The kids practiced their words as the plastic dinosaur walked down the path! If you know me, you know I love using PlayDoh in therapy! Especially with articulation. These Dinosaur Dash articulation mats from Texas Speech Mom were a total hit! We even used the dinosaurs to smash the ball of PlayDoh as they practiced their words! I keep all of my themes organized in a clear storage box. This keeps everything organized by theme and all of my related materials together. When it's time for a new theme, I simply take out a new box and put it in my trunk! I use a 20qt clear bin that I found at Target. It is big enough to hold all of my themed materials but doesn't take up too much room in my car. Beat the Heat: Freeze their Toys! I live in Florida. It is hot. It is humid. And for some reason, my kids still want to go outside. I try to convince them of the joys of air conditioning, but those little rascals still want to be outside. 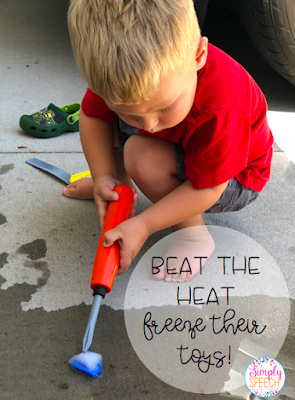 So, I tried to come up with some ideas to help us beat the heat and stay cool while having fun outdoors. The first thing I did was have the kids go on a "treasure hunt" to find me tiny toys from their playroom. Little mini cars, action figures, and legos worked best. I put them all into an ice tray, filled it with water, and put it all in the freezer for a few hours. A few hours later, I told the kids to grab some tools and meet me on the driveway. There, I made up a quick story about how Queen Elsa had frozen their toys and they were on a mission from Buzz & Woody to unfreeze them. They bought right into it and went to work! This activity kept them busy for quite a while. And my favorite part was all the amazing language opportunities it created. Using descriptive words like "cold," "hard" and "slippery." Requesting new tools. Problem solving. Realizing how body heat and the sun helped melt the ice faster than a hammer! Also, learning the value of teamwork! Mom win!! A friend of mine saw my Instagram story about this and decided to freeze her son's toys too. But she put all the toys in a large ziplock bag and froze them. So her kids had to unfreeze a huge block of ice instead of small cubes. I may try her idea next time! This is one of my favorite books to use with my younger students. 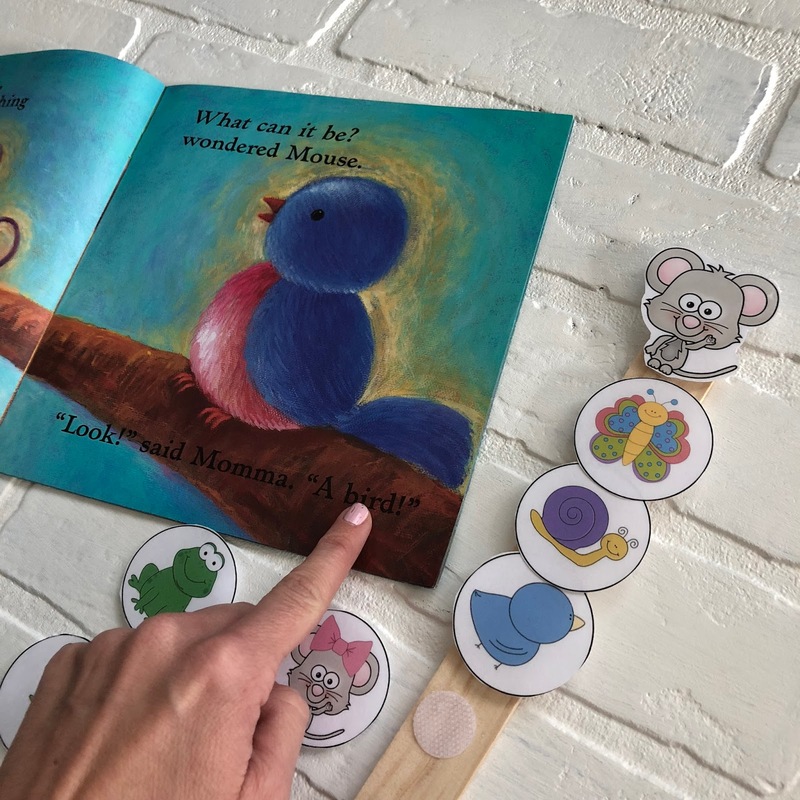 In the story, little mouse and mama mouse go out for a walk. 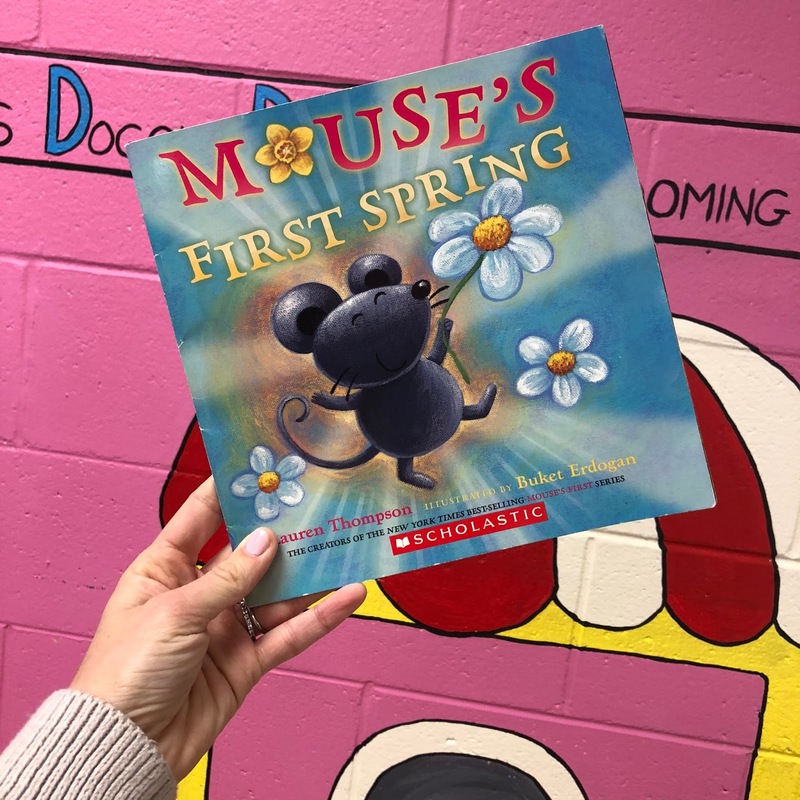 Mouse sees all sorts of spring creatures for the very first time.... butterflies, snails, and worms, oh my! 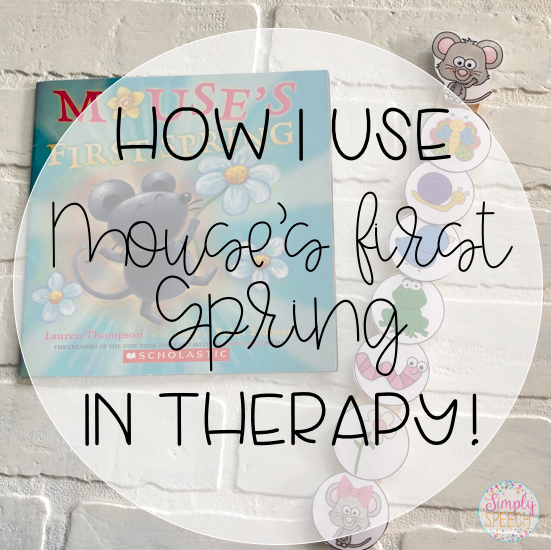 This book is great for spring vocabulary, descriptive words, and story sequencing. I love having hands-on activities for my students when we read a story, so I created a set of story sticks to use with this book. 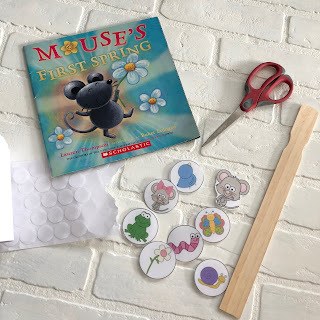 The story sticks are free in my TpT shop and easy to assemble. After I print and laminate the story pictures, I attach them to a stick with velcro. I use a paint stirrer (you can get these for free from Home Depot or Lowes) That's it! It's a simple but effective activity for my students. And it doesn't take up a lot of room in my bag which is huge since I am constantly on the move to see my students. I purchased the book on Amazon for under $7. You can find it here. 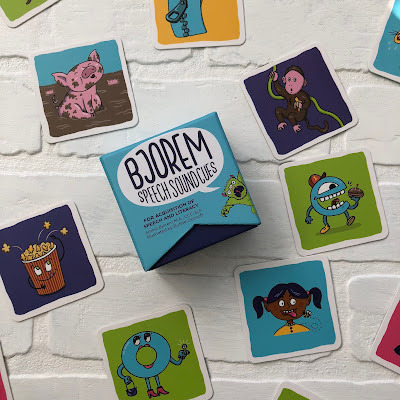 You can find the story sticks, here! PS- if you ever want to preview a book to see if it's one that's age appropriate or relevant to your students, look it up on YouTube. There are almost always videos of someone reading the book. Check it out before you buy! It's almost spring! However, living in Florida, it's felt like spring has been here for a few weeks already. Enough so, that I have already opened up my my spring storage box full of books and activities. 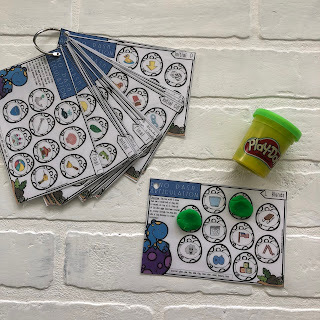 If you have been following my blog for a while, you know that over the past year I have been using sensory bins with my students to reach so many goals. 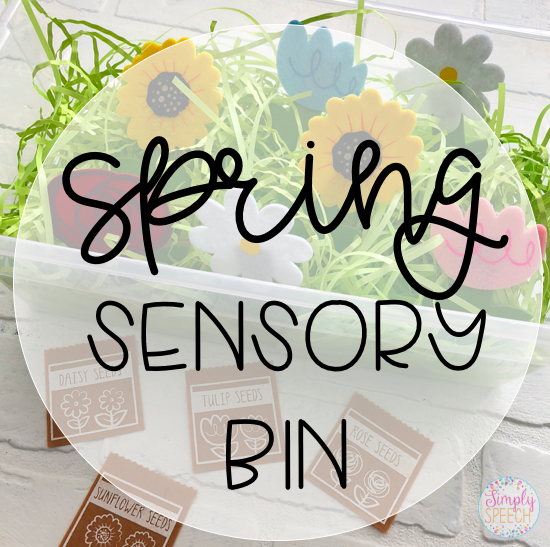 I wanted to share with you a fun and inexpensive sensory bin that I used this past week! One thing I love about sensory bins is that they don't have to be expensive to be functional. I got the base of my bin for $1.00. I chose to use the shredded paper grass that is typically used for easter baskets. What says "spring" more than green grass?! Some other ideas that come to mind are: rice or pasta died green, black beans to look like dirt, green yarn or cut up smoothie straws! Next I went to my favorite place, the Target's dollar spot, to find fun spring fillers! Right now they have adorable felt flowers and food boxes. 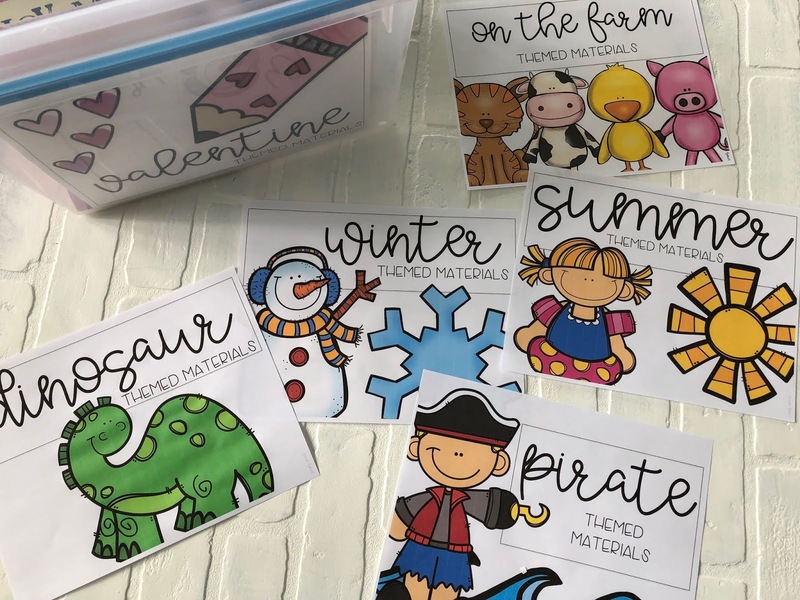 My friend Rachael from Texas Speech Mom has created some fun activities to use with these flower boxes. I love when I can repurpose anything to be used in more than one way, so I happily purchased these! While there, I also found squishy, stretchy caterpillars! These have been a huge hit with my kids. I immediately thought about using the food boxes with the caterpillars and using it while reading The Very Hungry Caterpillar by Eric Carle! Let's chat visual cues today. Visual and verbal cues can be amazingly powerful tools to help your child reach their speech and language goals. But finding something that is engaging and that works isn't aways easy. I can't tell you the number of times I have hand drawn awkward pictures to help my students understand a sound. Or acted out a new vocabulary word (let me tell you, there were no Emmy awards given!) 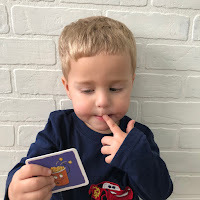 When I was working in the schools, I followed the kindergarten teachers' lead and incorporated gestures into letter names and speech sounds to give learning a multi-sensory approach. I love tying visuals and movement into my lessons because it works! 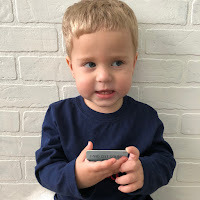 I recently learned about Bjorem Speech Sound Cue cards and have been using them in all of my articulation sessions! 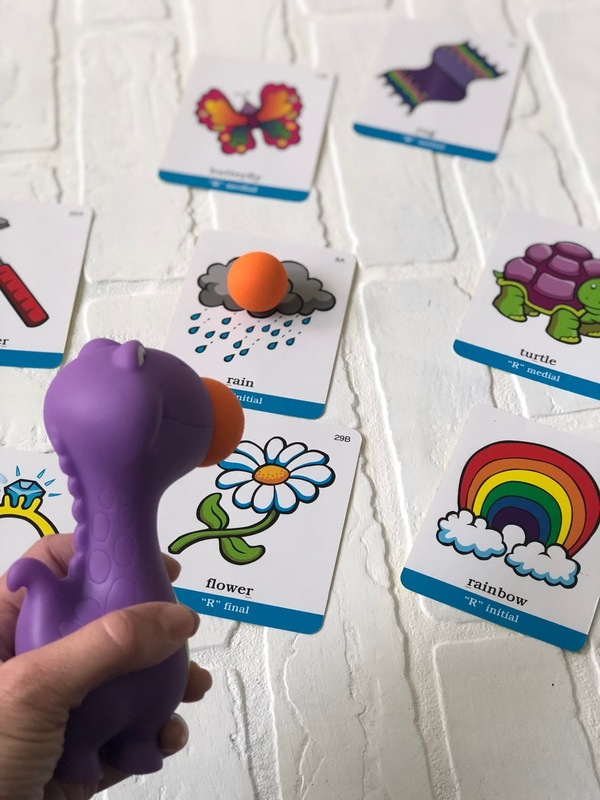 These cards are colorful and fun! Plus they are pocket size so they fit perfectly in my therapy bag. My students love using these and think they are fun. Each sound has a nickname ( the drum sound, popcorn sound, vacuum sound, mad cat sound- as shown in the video above) which gives each sound meaning. 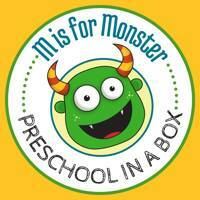 This is an important skill for children as they are learning letter sounds and how to read. 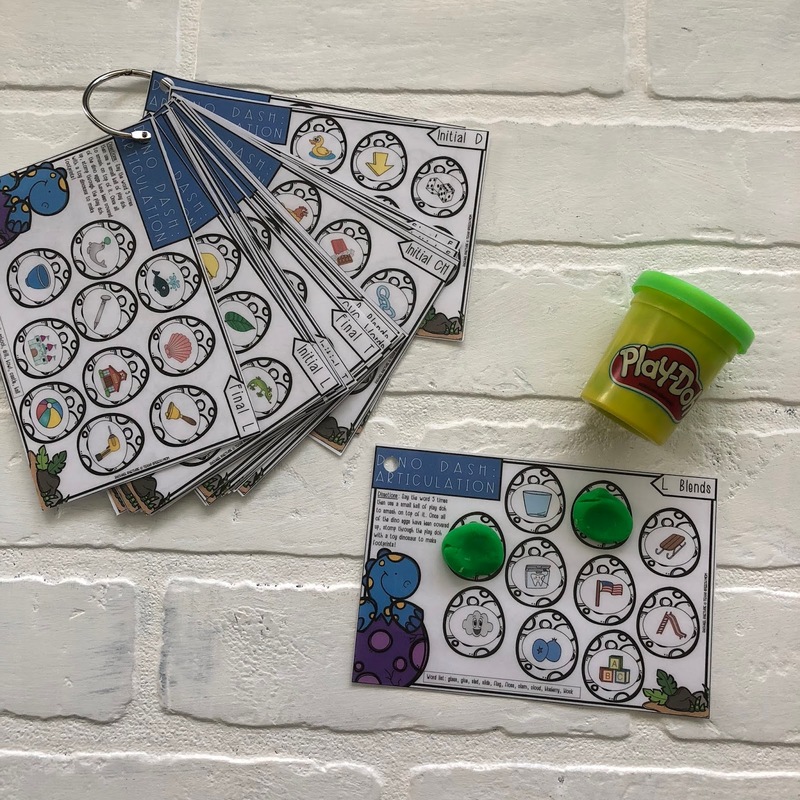 In addition to articulation therapy, these cards are fantastic to use when working with children with Apraxia/motor planning, phonological awareness, and literacy skills. 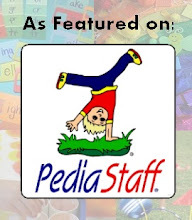 Teachers, therapists, and parents could all use these with their children! 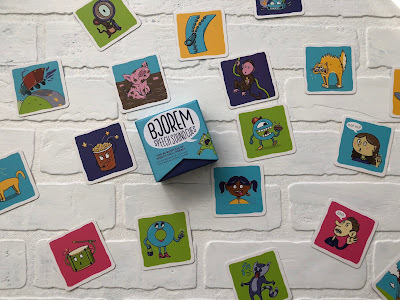 Bjorem Speech Sound Cue cards are recommended for children 18 months and up. This fabulous box of cards includes 22 consonants and 12 vowel cards. A picture is on the front of the card and a sound nickname and description is on the back. 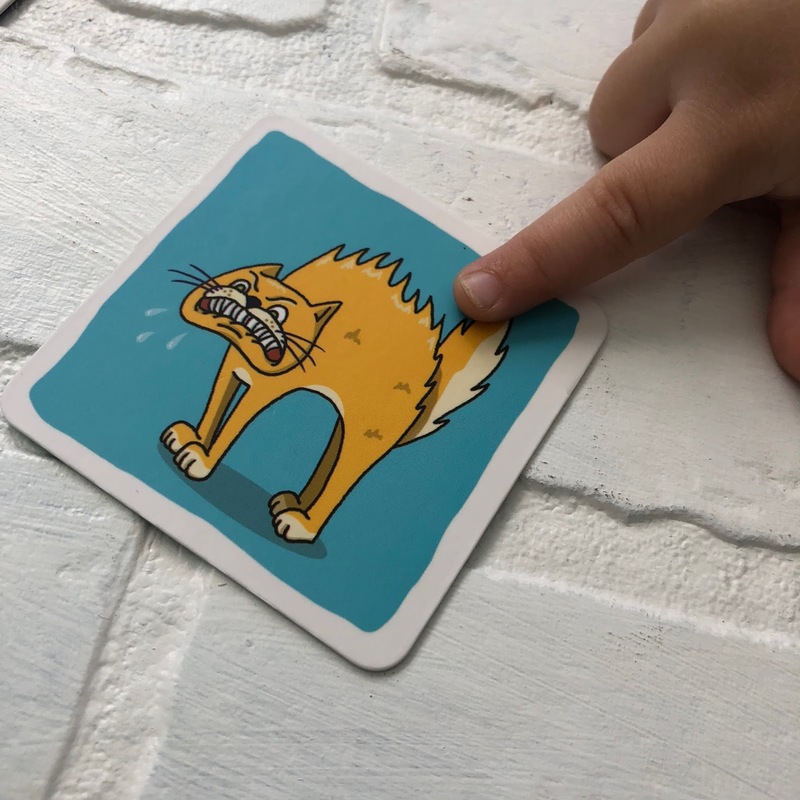 These cards are made from a very durable material. I carry these in my bag all over town with me and use them with children all day long.... and they are in great condition. You can purchase your own set, here! You will not be disappointed! Welcome to Phonological Processes Week! Visit Simply Speech's profile on Pinterest. © 2015 Simply Speech. Victoria Template designed by Georgia Lou Studios All rights reserved.